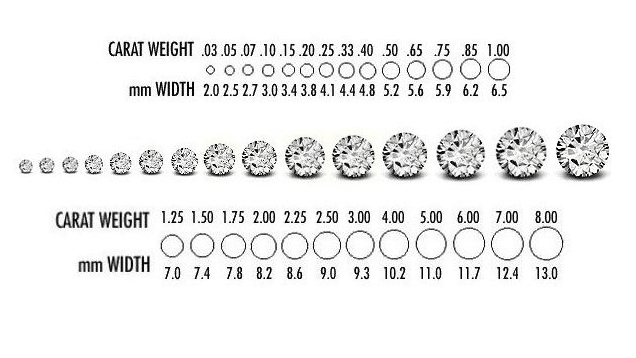 Click on one of the characteristics below to learn mo re about the carat, colour, clarity and cut of diamonds. 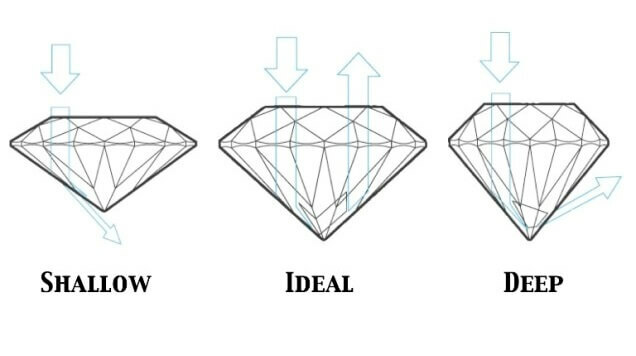 You need to choose a balance between these four to get the right diamond for you within your budget. It seems to be a wide-held assumption that getting the best colour and biggest carat is the most important thing when it comes to choosing a diamond. But in actual fact, the most important things are a) that you can afford it, and b) that you like it in the flesh. Too many people just opt for the ‘best’ diamond they can, or just buy online or off the shelf without actually understanding the 4 C’s. 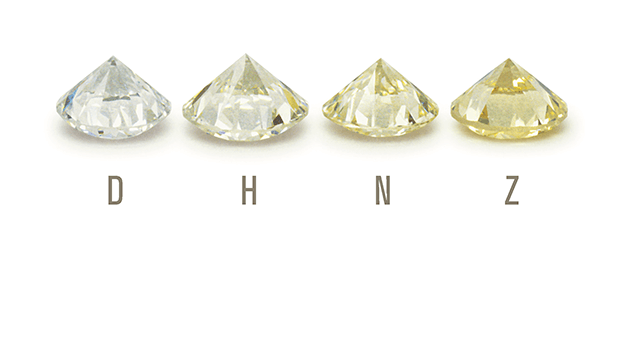 Take four ‘identical’ diamonds in terms of their classification and each one will have a different personality, you may actually prefer one which isn’t D in colour! 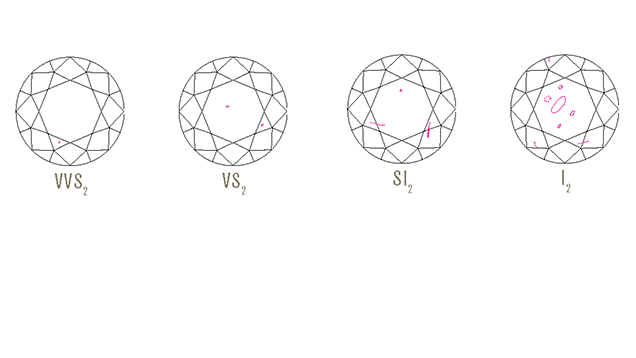 Diamonds are natural things and cannot be classified into four basic criteria alone. The GIA system works to a point, but if you’re going bespoke, make sure you ask to see a selection of diamonds and make your chose when you can see all stones in the flesh based on your own personal choice.